Limini Coffee is a small family run business managed by husband and wife, Youri and Samantha. We started Limini Coffee in March 2008 with Youri being full time and Samantha contributing to the business from behind the scenes. Youri and Samantha now both work full time at Limini Coffee still with passion and commitment to customer service and delicious coffee. 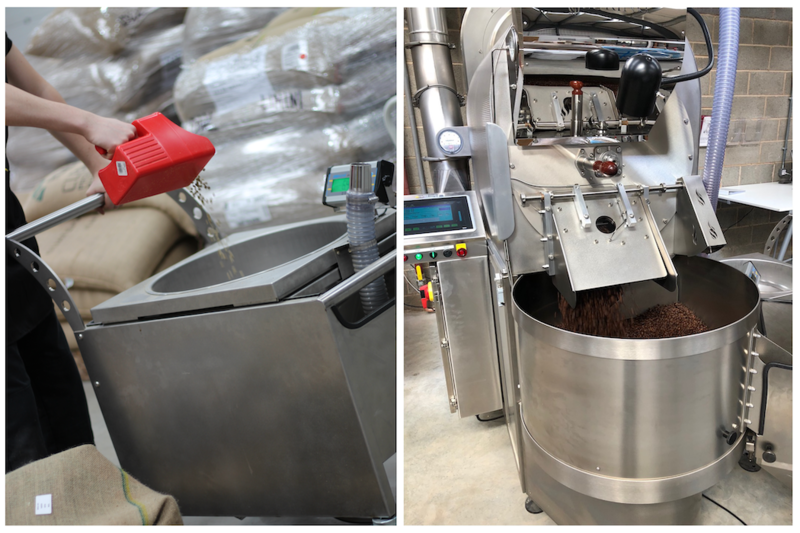 Limini Coffee was started as a coffee wholesaler supplying speciality coffees to the coffee trade and as a training provider for people who were interested in learning more about coffee and who were toying with the idea of starting a coffee shop. We started running training courses on a daily basis and developed a course focusing on starting coffee shops. Nowadays we are running this 'How to start a coffee shop' almost daily and have been lucky enough to have helped many people with their startups. 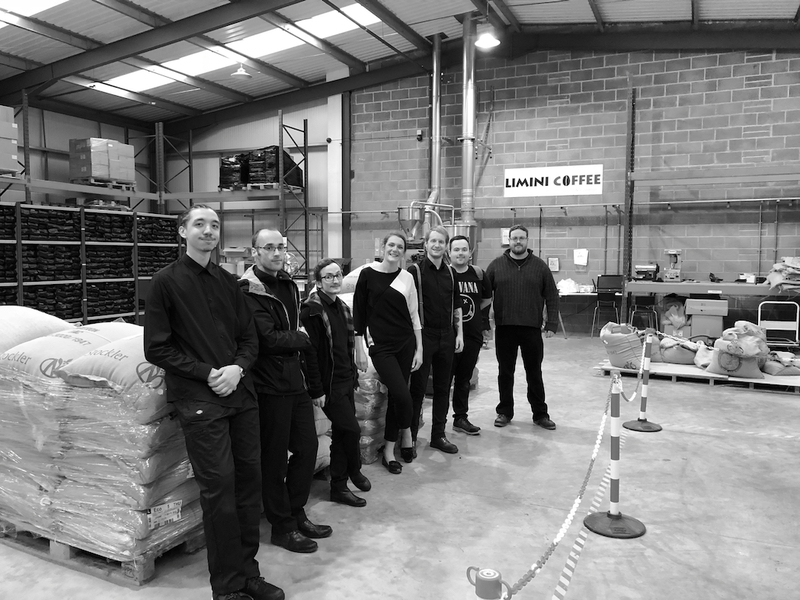 Limini Coffee is a friendly small team of passionate caring people who ensure that delicious freshly roasted coffee is being delivered daily throughout the UK. We like to keep the team small so you know who you are talking to on the phone. We aim to answer any enquiry the same day and do our best to ensure you are happy with our service. Team work is everything! In the beginning, like any small business, Samantha and Youri might have done most of the work. Now however, we owe so much to our staff. Limini is really all about team work. Our team is made up of people who see quality customer service as a standard. We would just like to say thank you to our wonderful team, we couldn't do it without you! This is the second course we have attended with limini and once again it didn't disappoint!! We had the pleasure of Youri as our course tutor and wow it really was amazing! We were going into this course with a blank canvas, amateurs in this field... But Youri was so great he gave us the confidence and experience he has had over the years to set realistic and achievable goals! Our dream is alive now because of limini coffee and we have a plan in mind! Youri spent time and really listened to what ideas we had and advised us with invaluable knowledge that we can only thank him for now our ball is rolling! We sparked our love of all things coffee on our first barista course a year ago with limini and now a year on we like to think our dream of being owners of our own coffee place is becoming a reality! Thank you soo much for all the advice, business plans, resources, and assistance! We develop coffee blends and source the most delicious coffees that we can find from all over the world. This often means that we have a range of coffees of more than 10 different countries. These coffees are roasted daily and either supplied as single origin coffees or as blends. Our passion is very much with teaching about all things coffee and supplying delicious coffee to people and coffee outlets all over the UK. We supply to coffee shops, restaurants and people at home daily with delicious coffees, teas and other ingredients. We are also one of the main distributors for the highly respected La Spaziale espresso coffee machines and grind on demand coffee grinders. Servicing and maintenance is taken care of with a wide range of nationwide engineers. All our coffee is roasted by ourselves at our roastery in West Yorkshire and delivered within days of roasting to ensure extreme freshness. Besides coffee there is also a delicious range of loose leaf Limini Tea, Limini Chocolate and ancillaries. Our wholesale customers enjoy our services such as weekly calls to ensure stock control is always taken care of, private labeling and on-going training such as Limini Support. We aim to teach about coffee in a relaxed and unpretentious way while still aiming for the very highest standards. The very best coffee doesn't have to be the most expensive. Because we have managed coffee shops in the past we like to think that we understand what coffee shop owners are looking for from their coffee supplier. Besides the supply of coffee we also specialise in the How to start a coffee shop course and were one of the very first in the UK to develop this course. We now teach this course and many other barista training courses on a daily basis. The courses are taught by our in-house experienced barista trainers who have a real passion for teaching you about coffee. We love helping people to realise their dreams of opening coffee shops and serve delicious coffee. I attended the Limini course almost 2 years ago and my wife and I opened our premises about 9 months later. We of course use Limini as our supplier and even though they are practically the other end of the country the service is absolutely faultless and the coffee exceptional. Not only that though, we have just had Youri down to ours to offer exceptionally good and useful/practical advice on how we can continue to make our business the best it can be. Both Samantha and Youri worked as scuba diving instructors abroad and developed a true love for teaching. Youri has a crazy passion for coffee and started his career in coffee as a barista in Sheffield. After working in various coffee shops and then managing them he landed a fantastic job as a barista trainer for a coffee company. We feel that we have really worked in all areas and therefore truly understand what it is like to work and run a coffee business. Limini Coffee is now fortunate enough to supply hundreds of businesses and people all over the UK and we cherish this every day! All Limini’s trainers have a great amount of knowledge about coffee although perhaps more importantly they are fantastic teachers and lovely people. They love both teaching and coffee. Experience also comes from running a lot of training courses and we try very hard to deliver the very best training course every time. Our "office" team have experience in customer service and people. It is a people business after all. Sourcing the finest speciality coffee from around the world that is all ethically sourced only costs us that little bit extra. The price difference between speciality coffee and commodity coffee is really not that much and we therefore work very hard to source the finest coffees. Our coffee farmers receive extra income for producing the finest coffees as we source only high grade coffees. The extra cost for us is not passed on to you and this is where we think we are slightly different. When you look at our prices and taste our coffee you will find that we are very competitive. We understand the overheads are high for coffee shops and businesses in the catering world and we therefore aim to offer competitively priced products with the highest quality. We can be so competitive because we work hard to keep our overheads low. There is no sales team on the road. No massive marketing budget and we design the website and packaging ourselves. We design all the labels ourselves as well and we use our own photography. This way we feel that we are more involved in the business, we can be more passionate and of course we can offer competitive pricing for our coffee. An ideal way to offer high grade speciality ethically sourced coffee at a fantastic price. We love coffee of course! Yet we only like coffee that is not bitter. Actually, this might be why we search so hard for the very best coffee out there. Once we find these delicious coffees we want to share them with others. Coffee is a treat, not just a necessity. Coffee should be full of flavour and easy to drink. The aroma needs to be fresh, rich and sweet and the flavour has to be distinctive. The aftertaste should be very pleasant and very morish. Coffee needs to taste fresh and more than just a bitter brew with caffeine. We love coffee because of its complexity and the journey that it takes us on; one of a never ending learning curve. Coffee is very versatile. Depending on the time of day and which brewing method you are using you need a coffee that fits the moment. Sometimes you need a big bold coffee and other times you are looking for a coffee full of fruit notes. This is the beauty of speciality coffee - the wide variety of flavours (and of course the many, many toys!). Both Samantha and Youri are strong believers in doing what you love and enjoy working on Limini Coffee. What is certain is that we will never change our concept of training and coffee and are quality driven more than anything else. We care about our customers and like to work closely with them whenever possible, believing that their customers really appreciate this. One of our biggest achievements is that we work with people on a long-term basis rather than looking for a quick fix (or profit!). Supplying coffee is about building a relationship that works on trust and honesty. At Limini Coffee, we believe that anybody can sell you a box of coffee yet it is the story behind it, the people who develop the blends, roast, pack, deliver, brew and eventually enjoy the coffee that matters the most and makes it all worth while.